In the age of transparency, the power shifts to the architects, builders and consumers who work with progressive leaders in the new green-building era. At Gyproc, we have developed a sustainable approach to our business which helps our partners in the construction industry deliver innovative solutions and services to their customers and clients. 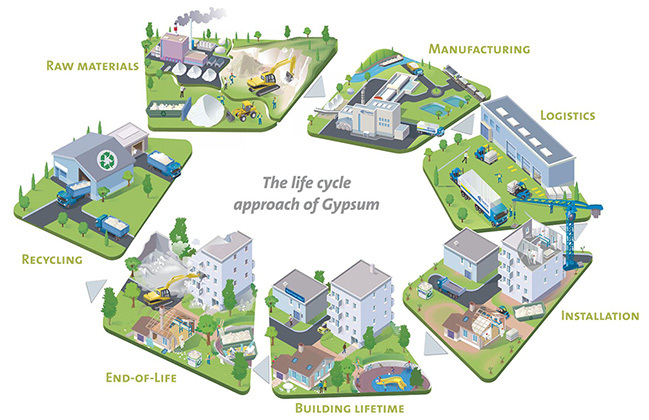 Gyproc has initiated to monitor the environmental impact of the products during production and their whole life cycle. This requires transparency and the vigorous use of widely accepted Life Cycle Assessment (LCA) techniques to produce meaningful data. Data which our customer can compare to ensure an optimised approach is taken in line with future requirements, as per Green Building Organisations like IGBC and GRIHA. At Gyproc, we ensure that the environmental impact of a new product is considered right at the beginning of the innovation process. By using this mind-set and methodology, we will increasingly deliver products, systems and service innovations to improve the environment and comf ort of our installers and end-users..
LCA is a rigorous tool to help assess the environmental impact of our products. Understanding the environmental performance of construction a product is growing expectations for professionals in the building chain. 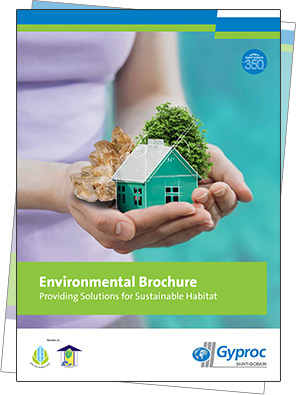 Saint-Gobain strongly believes that Life Cycle Assessment is the most reliable tool available to assess the green credentials of construction products and enables companies to communicate credible, factual information about their products to consumers. It is also a powerful tool that enhances the environmental features of our products. An Environmental Product Declaration (EPD) is a rigorous third party examination of a product or product family's environmental impact. Evaluations are based on a Life Cycle Assessment (LCA) that is performed using established Product Category Rules (PCRs). 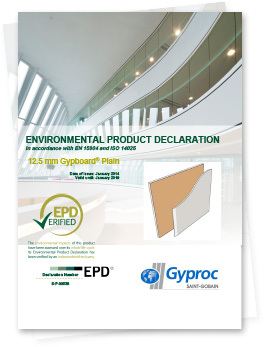 Gyproc India is the first manufacturer in the product industry to issue Environmental Product Declarations – comprehensive third-party life cycle assessments. A diverse group of green-building experts transforming the building landscape via LEED V4, education, advocacy and more. The vision to enable a sustainable built environment for all and facilitate India to be one of the global leaders in sustainable built environment by 2025..
A rating tool that helps people assesses the performance of their building against certain nationally acceptable benchmarks. Gyproc Products are certified by GRIHA and have been included in GRIHA product catalogue under various criterion. Gyproc drywall & ceiling systems provide aesthetically stunning finishes as the surface of gypsum board is pre-leveled. They are suitable for any kind of finish like monolithic finish, paint, wall paper, marble/stone or tile cladding. A 100mm thick drywall system can achieve up to Rw 50dB sound insulation, while a Half-inch brick wall (plastered both sides) provides an average sound insulation of Rw 40dB. Lightweight partition and ceiling systems using a range of different gypsum boards can be specified to provide excellent fire performance for up to 4 hours within all building types. Gyproc solutions can be specified to offer the highest level of impact protection in high traffic areas such as hospitals and schools. They will provide resistance against damage to walls over the building lifetime. Whether damage to the plasterboard system is minor or more extensive, the system can be easily repaired using gypsum products and it always delivers an excellent finish. *The above data is of Saint Gobain India Pvt Ltd – Gyproc Business, Wada (Maharashtra, India) Factory.